Cold fronts and bass—does it REALLY matter? 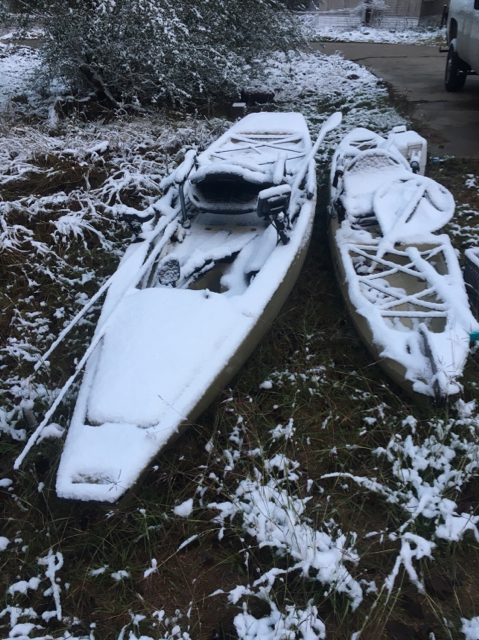 I found this interesting blog article by a professor of fisheries and wildlife in Mississippi. He suggests that tournament stats don’t support the idea that catches decrease post-front. Also gives a breakdown of things that may or may not actually affect bass. Science!!! Well, this front really chilled things off a bunch. Will be interesting to see how the bass respond. Water temperatures now getting into the mid 50’s. Down 10 or more degrees from a week ago. Here’s something about Shad, that favorite forage of so many fish, and water temperatures. Good article on shad, Karst. I like that it even mentions trolling crankbaits as an under-utilized option! I was thinking of checking out the lake today and was all set last night, but figured I’d maybe stay home and work on some chores. I fished the last 2 weekends after cold fronts blew through. Sure, it was a power plant lake (Fayetteville), but the fish didn’t seem to care one iota. As long as I was fishing the channels and targeting shad-chompers. The shallow bite was different. Bright skies, slow bite. Cloudy...more happy fish! Take that to the bank, TKF. What I remember studying marine biology is that fronts do affect feeding patterns. Pre-front (barometer dropping) typically increasing feeding behavior. 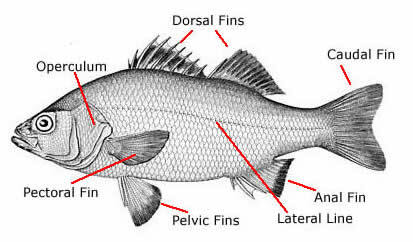 The science can only suggest that a fish knows from the exposed nerve cells at the lateral line of the fish. It's thought to be natural instinct to encourage feeding before inclimate weather (survival of the fittest). What's astonishing is that these cells can pick up some a minute change in pressure inside a water column; air is highly compressible whereas water is not. I live on a natural oxbow lake that’s seventy something acres, about 100 yards wide and with a large portion of the middle being 10-11 feet deep. Structure is mostly along the shoreline and is mix of mostly live oak fall downs, cypress knees, submerged Christmas tree bundles, some docks and bulkheads, and limited lily pads and other patches of shoreline vegetation. There’s virtually zero submerged aquatic vegetation thanks to introduced grass carp and tilapia. Last year’s cold weather appears to have completely wiped out the super abundant and breeding tilapia, so we will see if the coontail moss and other vegetation recovers. The lake is maintained for water levels and water is introduced from wells or another nearby body of water during droughts and water escapes over a weir during floods. Hurricane Harvey also introduced a huge amount of new water from the adjacent Brazos River flood plain. The winter pattern seems to be mixed schools of Largemouth bass and channel cats roaming the middle of the lake in search of shad. Casting various lures or flies into surface disturbances will sometimes get either predator species. I don’t see cold frontal passage necessarily shutting that action down, but the wind whipping down a mostly north/south oriented lake discourages getting out on the lake. If I see brown pelicans diving and getting shad, that’s an indicator of good fishing opportunities, pre or post front. What seems to have more effect on catching and fish feeding activity than frontal passages is water clarity. If the water appears to be somewhat clear and I can see the bottom in two feet of water, there appears to be a correlation to an uptick in shad, pelican and predator fish activity. I’m not clear on what is determining the water clarity. It doesn’t seem to be tied to water or air temperature or even seasons. Relatively clear water in the warmer months generally means much better catching but the same is true in cooler weather. When the water visibility approaches about a foot, the bite shuts down even with noise making type of lures. A rain can mess up water clarity but that only happens some of the time. Some rains seem to improve clarity. A ton of wind can mess up clarity, but that seems short lived and localized. There’s sort of a sickly light green tint the lake can get and that usually means low activity and poor fishing. A deeper, clearer green means better bait action and better fishing, no matter the weather or water temperature. Yesterday, the lake had a good blow with a strong west north west post frontal flow. The clarity and color of the lake was good. Second cast off the dock, I get a chunky little bass. That’s the pattern, clear water and I can often catch several bass without leaving the 150 square foot dock. More opaque water, and it’s very difficult to get them no matter what’s thrown for them. Maybe every body of water has its own rules.